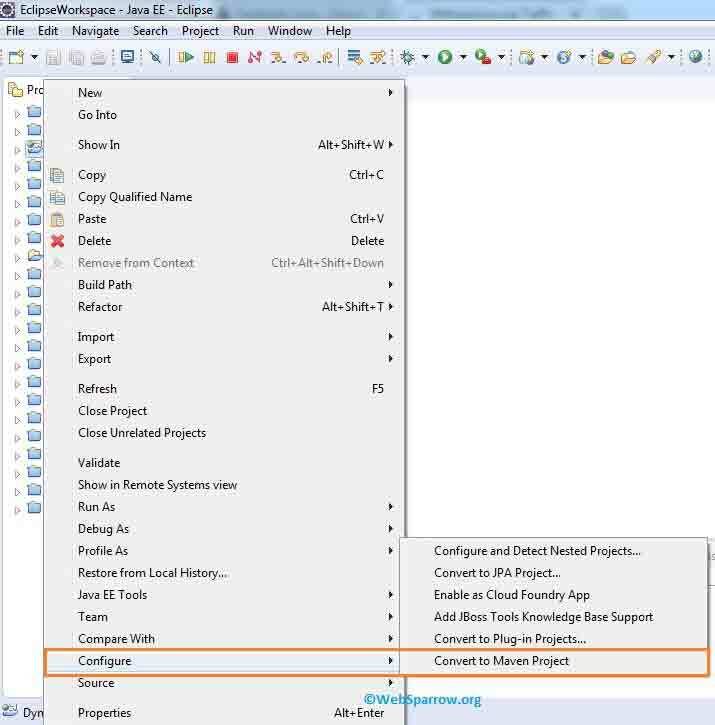 This Eclipse tutorial will explain how to convert Dynamic Web Project to Maven Project in Eclipse step by step. Eclipse is the most popular Integrated Development Environment (IDE) to design and develop Java based web application. 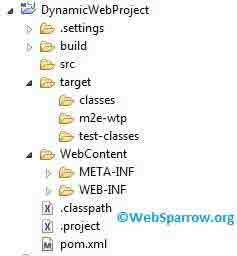 In Dynamic Web Project you need to configure the required library manually and it not easy to carry the project. Maven is a build tool that makes build process easy. Maven addresses two aspects of building software: first, it describes how software is built, and second, it describes its dependencies. 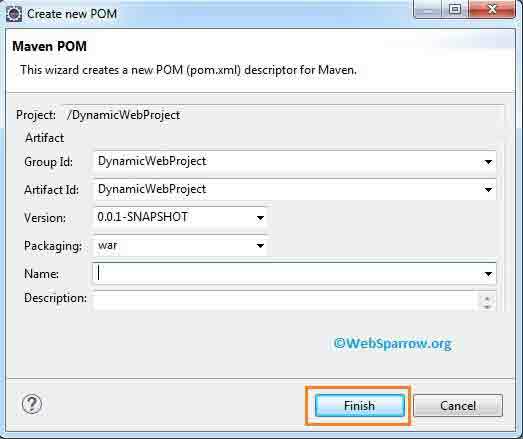 In Maven project we simply add dependencies in pom.xml, it will automatically download the required library/jars. 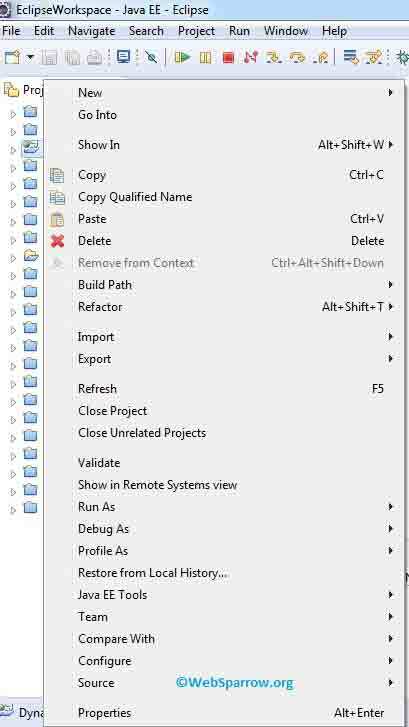 Step 1: Select your Dynamic Web Project and hit the Right Click button. Step 4: Hit the Finish button. Finally, your Dynamic Web Project successfully converted into Maven Project. Step 5: Project structure of Maven Project.